Sunday, April 13, 2008... The weather was gloomy. 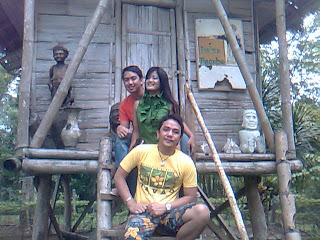 Out of boredom, my friends and I agreed to spend the lazy Sunday at the River Ford Resort, Catalunan Grande, Davao City. Just about 10 minutes away from my house at Elenita Heights. It was drizzling that afternoon when we get there. Wendel, Anna, Jack and I hurried inside the resort when we get there as the weather's about get worse. The place is not that really developed compared to those of other famous inland resorts. 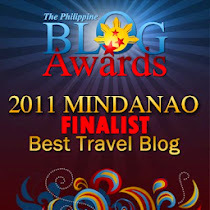 But if you're looking for a a quite, secluded and uncrowded resort, River Ford Resort is the place to be. It is a home for nature lovers and people who would like to escape from the noise of the city. It is a haven for those who love serenity and peace. That is the reason why it used to be the home of the late national artist NVM Gonzales whenever he was in Davao and needed a peaceful and quite place to stay. Nick Joaquin too stayed a lot a times here. The caretaker said some of the great works of both artists were done here at River Ford. 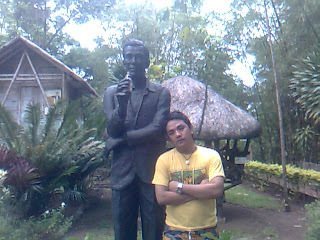 Statue of NVM Gonzales and Nick Joaquin were around the place - proof that they part of the resort. 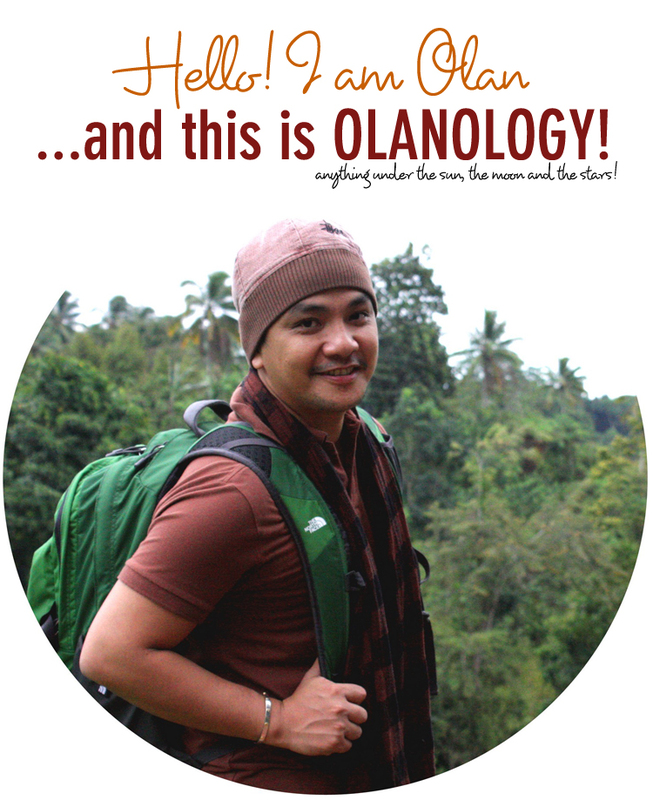 There are few "kubo" for a night a accomodation ranging from Php 600.00 to Php 1,000.00. 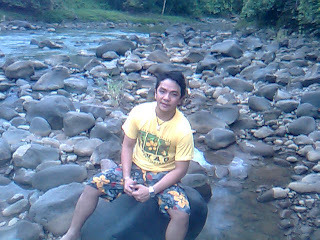 But the highlight of our unplanned trip to the Resort was the thrilling trailing down at the foot Davao River. The slopes were a bit slippery. It was fun. We had fun though. Funny, Anna was in her high heels but she had to come down to the river with us. Tagam ang Anna!!!!!!!! Ang Wendel and Jack naman, pabadlong. Walang kamatayang picture taking. Career. Pang friendster daw. 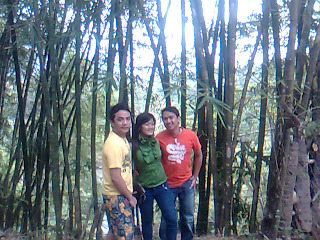 T'was tiring but the green sceneries and the nature around us lessened the stresses we had for day. T'was late when we were back home. Jack left to meet some friends of his while the 3 of us hurried home for dinner. Phillip came and prepared his infamous LAW-OY. The best law-oy in the whole world. Never tasted a law-oy such delectable as his. A feast in our stomach. Hmmmmmmmmmmm..... It was raining that night, four us had a great time talking about River Ford trip while feasting on Phillip's law-oy. What if you lived in a perfect world of perfect people and perfect possessions, with everything and everyone doing the perfect thing at the perfect time? What if you had everything you wanted, and only what you wanted, exactly as you wanted, precisely when you wanted it? What if, after luxuriating in this perfect world for the perfect length of time, you started feeling uneasy about the predictability of the perfection? What if, after a perfect length of additional time, you began thinking, "There seems to be a lack of risk, adventure and fun in perfection. 'Having it my way' all the time is starting to get dull." What if, after yet another perfect length of time, you decided, "perfection is a perfect bore." What if, at that point in your perfect world, you noticed for the first time a button marked, "Surprise."